This is the second Om and Yum meditation in a new series of guided visualizations specific to mindful eating for fertility at ovulation. Meditation two focuses on ovulation which is the best time for meditation to create the healthiest egg possible. I am excited to partner with Alisa Vitti, the founder of FLOLiving.com, a virtual health center that supports women’s hormonal and reproductive health. 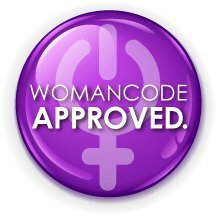 She is the creator of the WomanCode program for women in the 20s, 30s, and 40s. The meditations feature Alisa Vitti’s ‘foods for your cycle’ recommendations from her best-selling book WomanCode. For the next 2 weeks leading up to the holidays I’ll be gifting you a new (and free!) Om and Yum guided meditation. My wish for you is to make delicious and healthy food choices during the holiday season and get your body ready for the miracle of pregnancy – or whatever else you’re desiring. Don’t forget to meditate and connect with the Nurturer during your ovulation phase.